The new standard in environmentally friendly coatings. 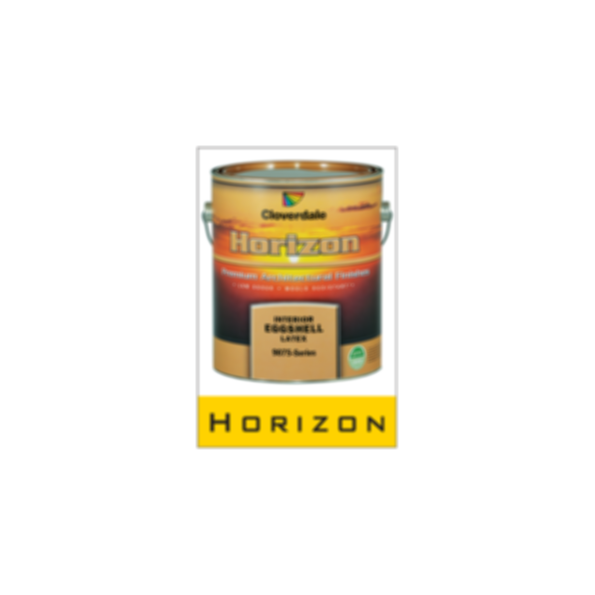 Horizon is a new generation of paint specifically designed to significantly reduce polluting vapours and odours released into the air which can be harmful or irritating to the user or occupants of the areas being painted. With advanced technology, Cloverdale Paint has eliminated the harmful chemical components as defined by GreenWise and the odour causing ingredients without compromising the performance characteristics of the paint. Interior Horizon products are formulated near zero VOC* reducing our environmental footprint and preserving cleaner air for our future. An ultra low VOC*, environmentally - responsible paint with minimum odour and no residual odour. Horizon Paint passes GreenWise specifications requiring low VOCs, qualifies for LEED credit points, and meets performance standards for scrubbability, hiding power and washability. Mortar Colors Solomon Colors Inc.
ColorSelect™ Pro Ready-Mix System Solomon Colors Inc.
Dry Integral Color Pigments Solomon Colors Inc.
Cloverdale Paint has had a special relationship with its customers ever since the company was founded in 1933. That relationship was built on a commitment to exceptional quality in manufactured coatings and superior customer service. Company co-founder Rudy Henke built our reputation offering low prices using a "Factory direct to you" philosophy. From humble beginnings on a farm near Cloverdale, BC, we've grown into one of North America's largest regional manufacturers and sellers of paint products and coatings. The combination of skilled technicians and chemists, modern manufacturing equipment and the best available ingredients, has resulted in quality products that match our professional and industrial customers' needs. Ecologic® Waterborne enamels, created for both architectural and industrial applications, as well as Horizon® Architectural Finishes are examples of technologically-advanced and environmentally positive products that Cloverdale Paint is proud to manufacture and distribute.